This is a Guest post from Jane Sanders from Debt Management. She asked if I would be willing to allow her to guest post on the blog and I asked her to relate her posts to family, she agreed and here is her post. Using a spreadsheet is the best way to create a budget. In one column, list your monthly expenses such as mortgage and utility bills. Next, have a row for other expenses such as groceries and gas. Enter the date on which you created the budget and then make entries on a weekly or monthly basis. Enter the household salaries and determine the amount that is spendable each week. Program the spreadsheet so that it subtracts the bills that are paid each week from the total amount of income. 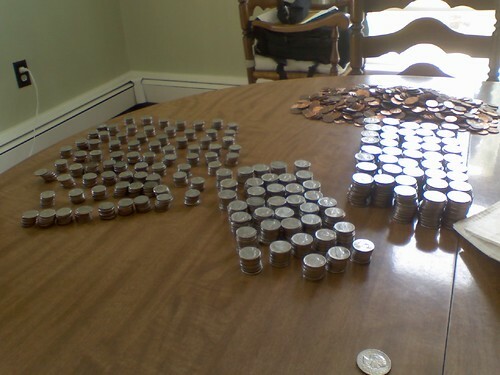 This amount will be the amount that is left over after paying the bills and should be entered into another row. For bills that differ from one week to another, such as groceries, you should enter an estimate for each week. If you have a range that you spend, enter the largest number as this will make the budget easier to stick to. Each week, open the spreadsheet and enter the amount that you actually spent. View your budget each day. You will be able to determine whether you are on track to stay within your budget as well as how much money you have been able to save. Seeing your success will encourage you further. If you exceed your budget, highlight the cell in a vivid color. This will serve as a reminder that you exceeded your budget and that you will have to spend less money the next time. For money that you spend on items that are not in the spreadsheet, highlight the cell. This will include items that are necessary but you do not need each week such as clothing and home repair. The spreadsheet will allow you to determine whether the item can be afforded that specific week. If you are planning on making one of these expenditures that week, look ahead so that you ensure that you do not go over budget at any point in the future because of that expense. If you determine that you will go over budget, you should wait or you should plan to find other funds to cover the required purchase. This will largely depend on how necessary the expense turns out to be. Review your expenses frequently so that you can determine where the money will go and how much remains after paying all of your bills and buying necessary items such as groceries, gasoline, clothing, and other items that are needed for your household and your family. This article was written by Jane Sanders from Debt Management. Visit her site to get more financial advice, like how to get rid of credit card debt. Andy, I see what you mean about things being easier to understand with an example spreadsheet. Let me see if I work one up quickly and send it over to Drew so he can add it to the post. That would be great. We are followers of Dave Ramsey’s methods and he has some fantastic worksheets for this including some online resources. Great post, i have managed to start budgeting and it has worked out well so far. I don’t have any real goal but hopefully i can start implementing this and have a goal.